I talk a lot about the Ljubljana. 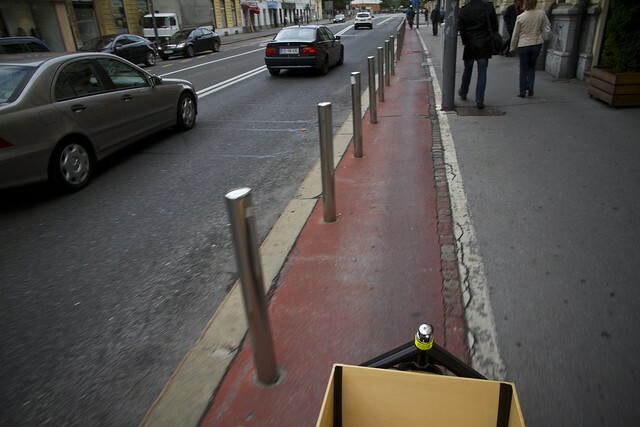 In conversations with journalists and in my keynotes around the world I highlight a simple move that boosted cycling dramatically in the Slovenian capital and that should serve as a great inspiration for other Emerging Bicycle Cities. It's a fantastic story. Wait for it. 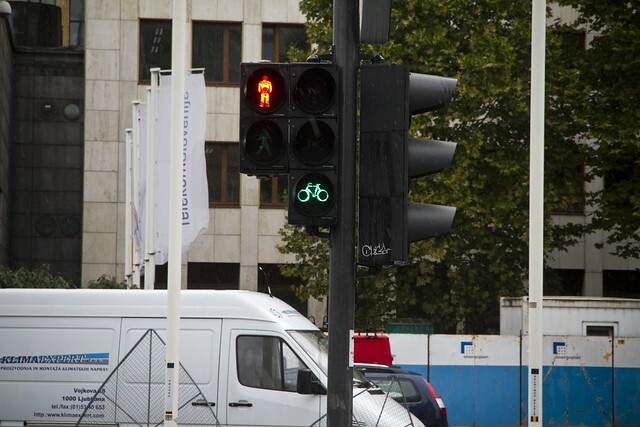 One of the simplest ways to transform a city into bicycle-friendly place is to merely adopt the Best Practice from cities who have figured it out. 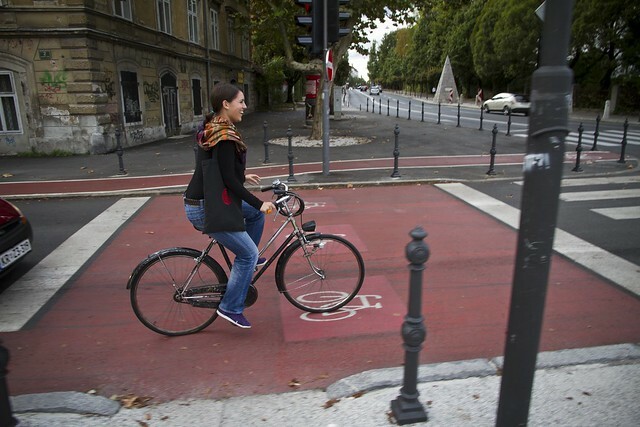 Cycle tracks have been around for more than a century and the cities that rock the urban cycling world have spent years perfecting the design - making mistakes and fixing them. 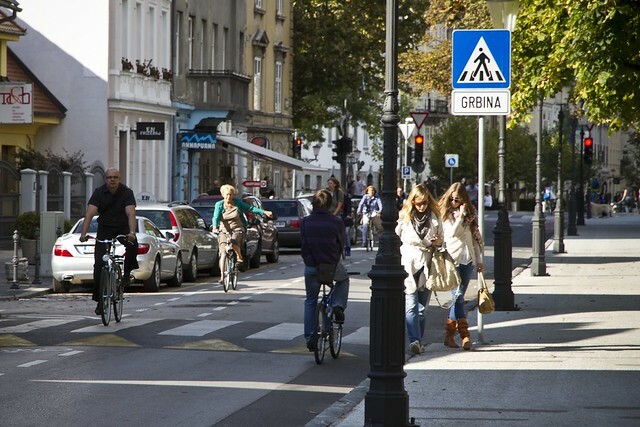 Now that Ljubljana has been chosen as the Green Capital of Europe for 2016, it's appropriate to focus a bit on the impressive inroads the city has been making towards becoming a better place to live. 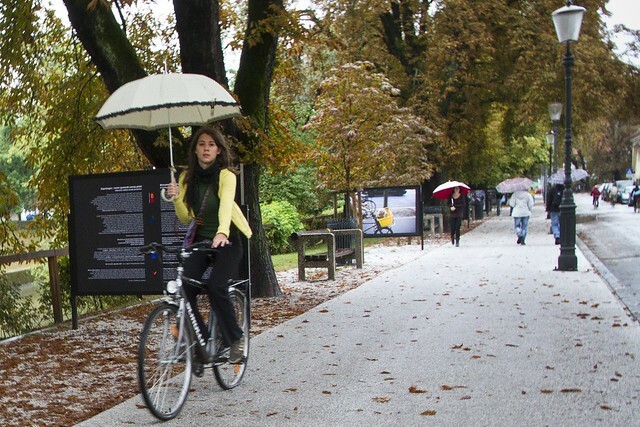 In a country with one of the highest car ownership rates in Europe, Ljubljana is now working hard to restrict car traffic in the city centre - focusing instead on improving public transport, building more cycle tracks and pedestrian streets. 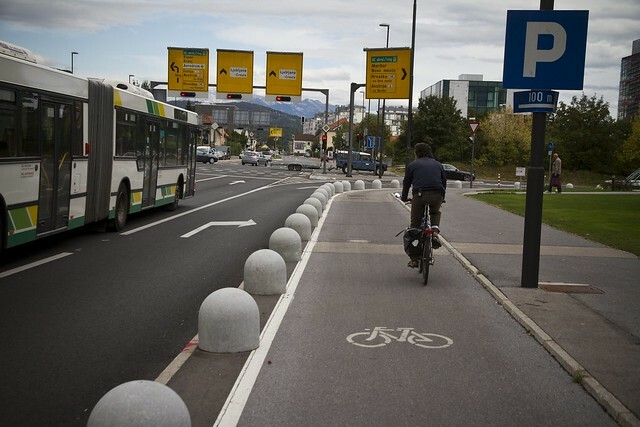 As it stands now, Ljubljana is a fine bicycle city. The modal share, last I heard, was 10%, which is very, very respectable. One of the most irritatingly repetitive things I hear in my work is that "This isn't Copenhagen/Amsterdam... it can't be done here. 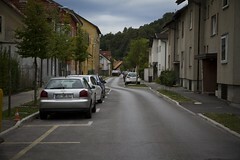 Our streets are different/narrower/wider etc.". Blahblahblah. Cities are just spaces in which a whole bunch of humans live together. We've been doing it for around 7000 years. Cities are organic creatures that are excellent at adapting to change. The problem, more often than not, is that certain inviduals fail to understand this and instead think that cities are some unchangeable construction that cannot be altered. I've spoken about how we should design our city streets instead of banking solely on traffic engineering - largely a failed science when left to its own, archaeic devices. Ljubljana's story is one of a human desire to change and to freely accept that foreign ideas and experiences could be copy-pasted onto the cityscape. Last time I was there, I was taken on a tour of the city by the cycling officer. With 10% modal share, I knew that there was bound to be decent infrastructure in place. We started in the city centre with some infrastructure that was... well... interesting. This is a classic example of someone regarding bicycles as an irritation. A traffic engineer who has been told to create space for bicycles and yet had no experience with it - even worse, no desire to find out about it. The above "infrastructure" has no respect for logic, design, the human experience or safety. 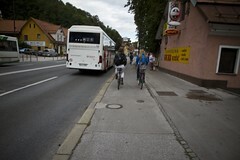 I speed up alongside Janez, the cycling officer, and asked him what the hell it was we were cycling on. It looked remarkably like a Copenhagen-style cycle track. Oh yes, he assured me. It was. Then he told me a splendid story. Back in the late 60s/early 70s a team of urban planners travelled from Ljubljana to Copenhagen to study bicycle infrastructure. This was at the height of the Cold War - although the Iron Curtain as far as Slovenia/Yugoslavia was concerned was more of a dangly bead curtain, but hey. They studied infrastructure and went home and just built it. Copy/paste. Ctrl+C/Ctrl+V. 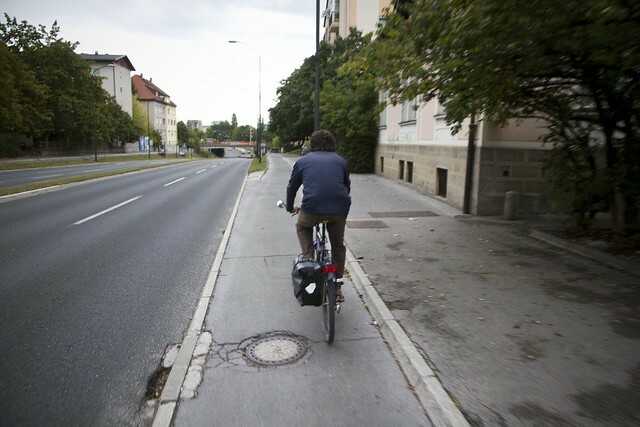 They built 45 kilometres of these perfectly separated cycle tracks and THAT is where Ljubljana was launched onto it's journey as a bicycle-friendly city. From 2% to 10% in just a couple of years. It boggles the mind that engineers and planners in other cities and countries don't do the same. Copy paste best practice from Denmark or the Netherlands. Save time. Save money. Save fixing the mistakes later. Amazingly, cities are still putting in bike lanes painted on the LEFT side of parked cars, instead of along the curb. Or putting in on-street, bi-directional cycle tracks on stretches with lots of intersections. 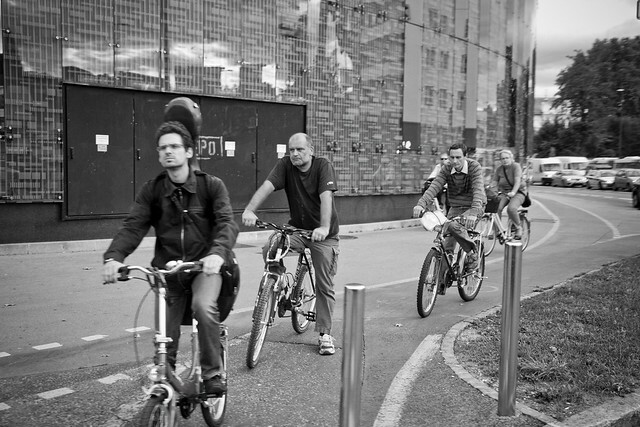 Here are some Citizen Cyclists heading home on a stretch of cycle track in the early afternoon. Squint your eyes and you're heading out of Copenhagen along one of the motorways. 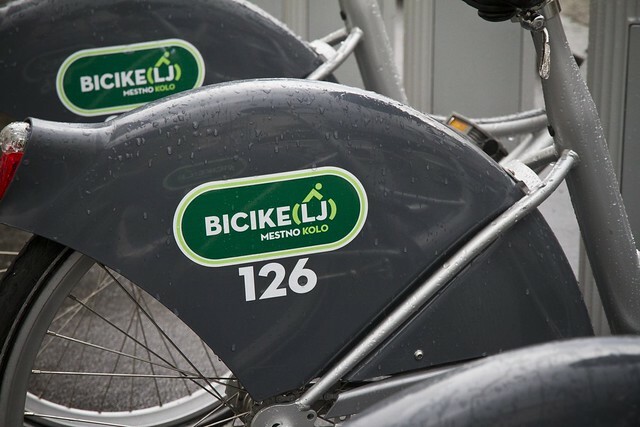 A new bike share programme was established in 2011, and is a whopping success. A bike box (pleasingly on the stretch that featured my Monumental Motion exhibition) is in place. Newer developments feature infrastructure bicycle infrastructure, as well, including a roundabout. 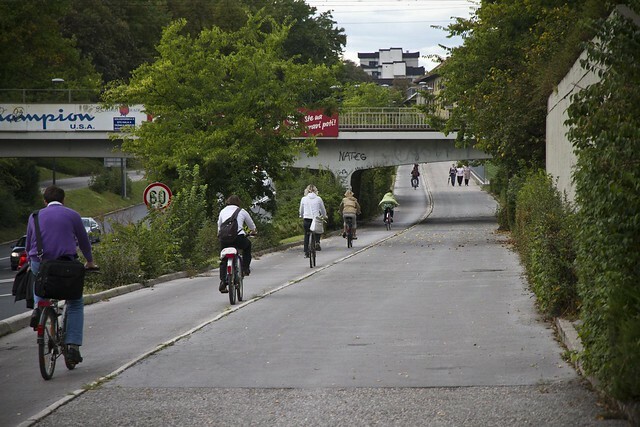 In a number of spots bike lanes lead towards a bridge and then disappear, while cars speed along at 50 or 60 km/h. Cyclists I saw just rode on the sidewalk. As we know, the majority of cyclists being 'naughty' do so because of sub-standard (or total lack of) sensible infrastructure. Or, in this case below, slow streets where cyclists dictate the pace. It was a pleasure to be in the city and meet so many like-minded people. I reminded them not only to look at the negatives - the problem spots - but to remember the positives. It's a city that is lightyears ahead because of visionary planning forty years ago. Capitalizing on the positives will only serve to speed the journey towards a more complete, more effective network of bicycle infrastructure. Constant focusing on the negatives in discussion with city planners and politicians will only end up sounding irritating. 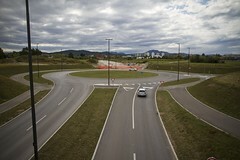 The future appears bright in Ljubjlana.